iBall has launched India’s cheapest laptop CompBook Excelance for Rs 9999, making it the cheapest in the 11.6-inch category. 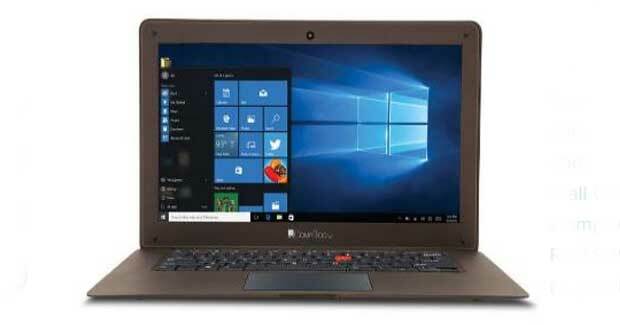 The Mumbai-based company launched two laptops iBall CompBook Excelance and CompBook Exemplaire priced at Rs 9,999 and Rs 13,999 respectively. While the CompBook Excelance features a 11.6-inch multi-touch IPS display, CompBook Exemplaire comes with a 14-inch multi-touch IPS screen. Powered by 1.83GHz Intel quad core SoC, the laptops house 10,000mAh battery and comes with 2GB RAM. The laptops have 32GB internal storage, which is expandable up to 64GB. The duo runs on Windows 10 operating system and supports Wi-Fi, Bluetooth v4.0, HDMI and 2 USB ports. Microsoft partnered with iBall and Intel to launch the CompBook Excelance, which at Rs 9,999 might be the cheapest Windows 10 laptop. iBall CEO Sandeep Parasrampuria said the laptop penetration in India is only 9 per cent, as compared to China where its 50 per cent and thus Excelance was launched with the idea of making a laptop available in every household. The laptops come in Cobalt Blue and Cobalt Black colours and will be available in stores in next few weeks.